← For Fun…or For Profit? This pattern, Stacked Squares by Moda, has been in my “want-to que” for some time. The pattern calls for 23 fabrics. I began pulling fabrics and no problem – I found 27! 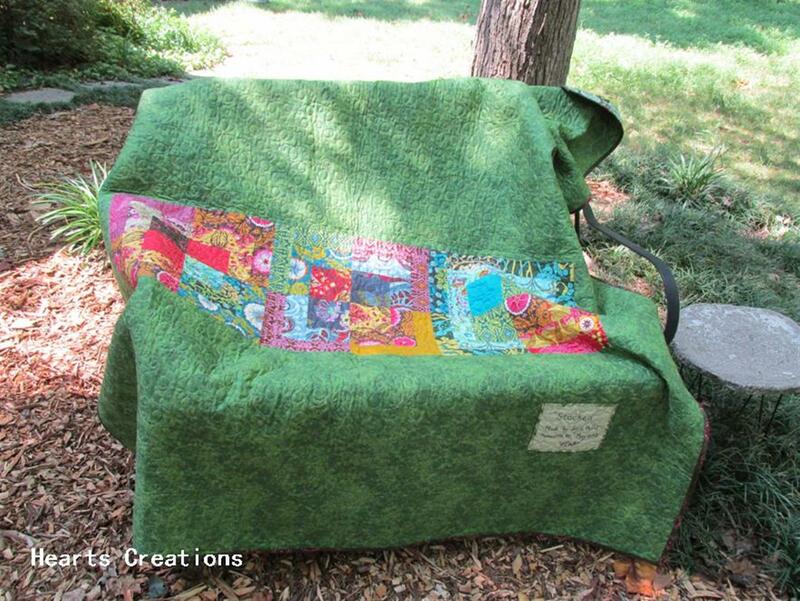 There are fabrics from three different designers in this quilt – Anna Marie Horner, Tula Pink and Amy Butler. No way I could go wrong with these! As I laid them out and began to pair the prints, eliminating some was no problem. I sewed the log cabins at the April Quilt & Sew-In Retreat. I waited until I was home to cut those blocks into fours (and yes, it did hurt a bit to do that! ), play with them on the design wall, and piece them once more. I love this look! 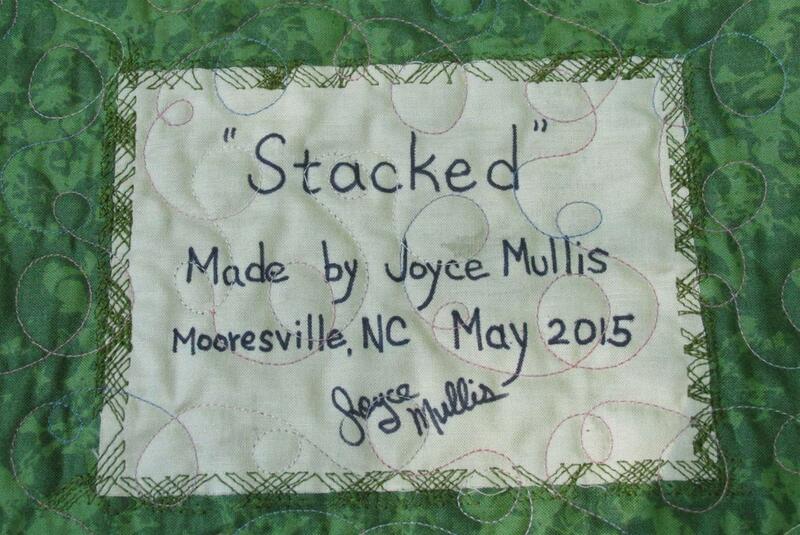 As I sewed each original block, it would become my favorite. 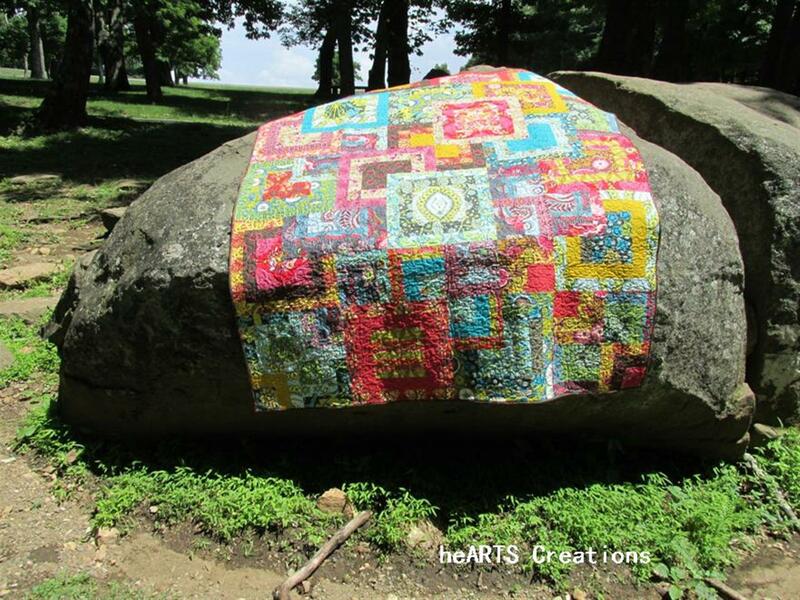 This pic taken on the Blue Ridge Parkway – couldn’t resist this boulder! There were a few left over blocks so I incorporated them into the back of the quilt. 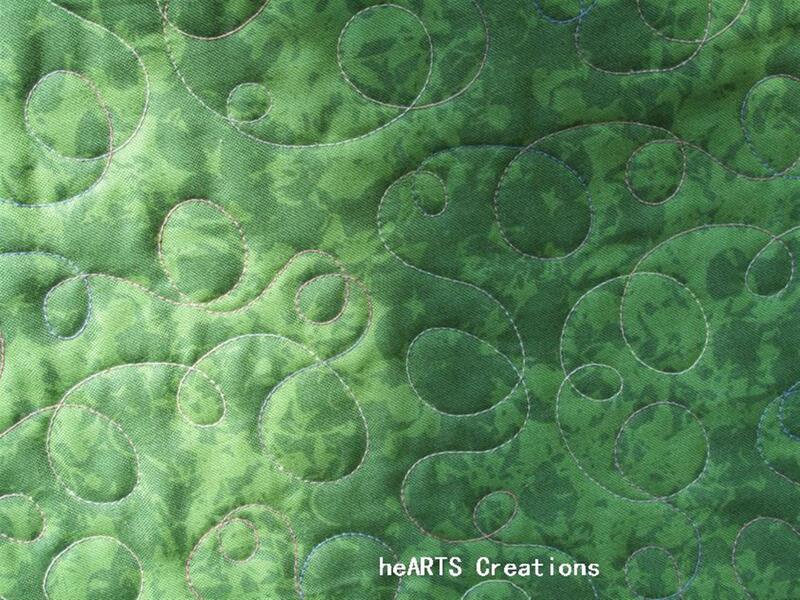 I love all the loops of the machine quilting. 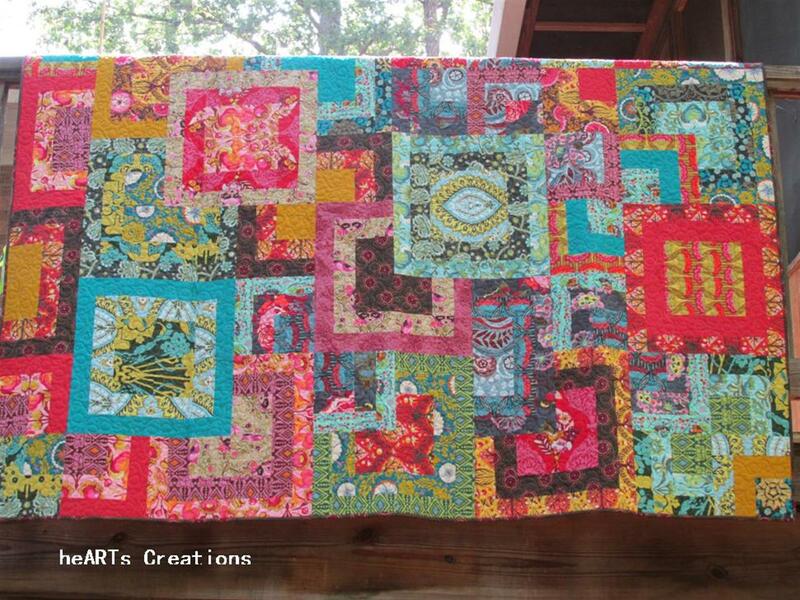 I am also entering this quilt in my guild’s Log Cabin Challenge, which was to make any log cabin quilt, any size. I’m keeping this one and it will be so warm and cozy to curl up under this winter! Posted in Quilting, Quilting Retreat, Stash and tagged challenge, Color, guilds, Modern Quilting, projects, quilt label, Quilting, Quilts, Retreat, Sewing. Bookmark the permalink. I love it! This pattern is on my list as well. it is in one of my project boxes (otherwise known as pizza boxes purchased from our local pizza parlor) with a few fabrics I want to use in it.